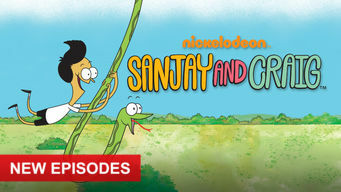 How to watch Sanjay and Craig: Season 2 (2014) on Netflix USA! Sorry, Sanjay and Craig: Season 2 is not available on American Netflix, but you can unlock it right now in the USA and start watching! With a few simple steps you can change your Netflix region to a country like Canada and start watching Canadian Netflix, which includes Sanjay and Craig: Season 2. We'll keep checking Netflix USA for Sanjay and Craig: Season 2, and this page will be updated with any changes. Sanjay and Craig: Season 2 is not available in USA BUT it can be unlocked and viewed! An energetic boy and his talking snake partake in often ridiculous, always incredible adventures around their suburban neighborhood. It's your classic 12-year-old-Indian-boy-meets-snake-who-can-talk story. With fart jokes, obviously. Season 1 of Sanjay and Craig has 20 episodes. Because different Netflix countries have different availability for episodes, you'll need to check the episode listing below to see which are available in the USA. Season 2 of Sanjay and Craig has 20 episodes. Because different Netflix countries have different availability for episodes, you'll need to check the episode listing below to see which are available in the USA. Chicken Chuck gets kicked out of the Frycade after adding his own sauce to Penny's wings. The gang journeys into the forest seeking a legendary pool. 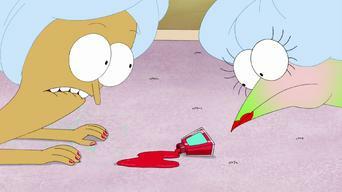 Sanjay and Craig experience the joy of shirtlessness. With help from Craig, Sanjay overcomes his embarrassment about his unusual middle name. Sanjay's efforts to conceal that he and Craig used Darlene's makeup kit spiral out of control. 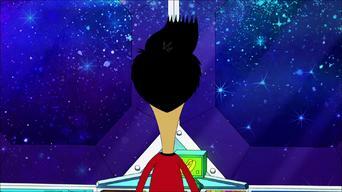 Sanjay steals the credit for Craig's invention. 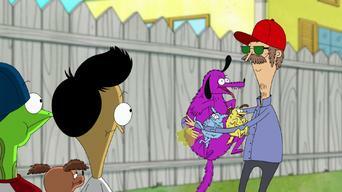 Sanjay and Craig try to find something Barfy's boring new puppy is good at. Sanjay helps a girl named Sam win a game against Noodman. Sanjay's hero Remington Tufflips and Huggle Bunny celebrate Halloween by relating five spooky, strange stories of haunted milk and a "poultrygeist." Sanjay, Megan and Hector must travel inside Craig to help find his lost voice. The boys are excited to have a sleepover at the Dicksons. An epic space adventure unexpectedly awaits during a trip to the local dump. A snobbish boy prevents the kids from getting a popular toy. 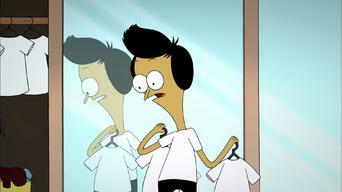 Sanjay and Craig get Megan kicked out of her exclusive winners-only club. 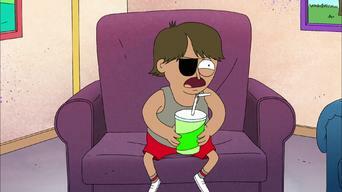 A song that makes them feel better turns into a quest for Sanjay and Craig. Sanjay learns that his favorite actor isn't much different from the villains he plays in the movies. 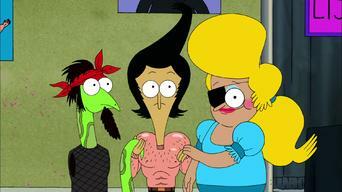 Sanjay and Craig hypnotize Darlene and Vijay. The kids hold an overnight Tufflips movie marathon to help a reptile refuge. Craig wants more cuddling after he sees the attention other pets receive. Sanjay and Craig need Noodman's help to compose a symphony of farts. A mysterious object unearthed in Sanjay's yard fires up the gang's imaginations. Sanjay and Craig get jobs at the Frycade and learn a secret about Belle's after-hours activities. 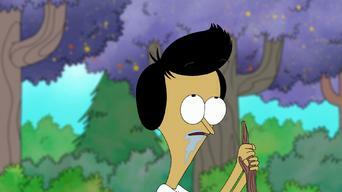 Sanjay suddenly develops an allergy to Craig. 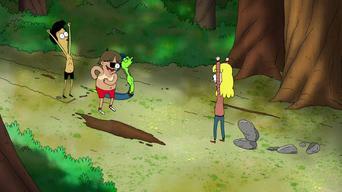 Sanjay and Craig have a competition to see who can survive longest in the wilderness. A depantsing game sweeps through the town of Lundgren. 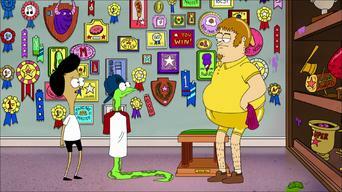 Sanjay and Craig meet a group of children who hero-worship them. Hector's sweat smells so good he bottles it to sell as cologne. The kids help Megan look for her two front teeth, lost in a bike stunt. Sanjay's grandmother gives the boys a gold conquistador statue that's haunted. A pack of rabid chihuahuas traps the kids on top of a garbage dumpster. 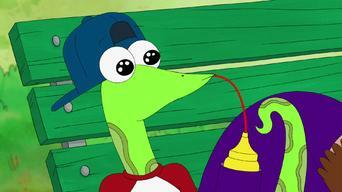 Sanjay and Craig try to change the close-talking habits of Hector. Sanjay and Craig's attempt to reunite the former rap duo of Tufflips and their neighbor Street Dogg results in a divided community and a rap battle. Sanjay and Craig harbor doubts about Vijay's new high-tech automobile. Craig falls in love with an electric eel from a sushi restaurant fish tank. The boys go undercover with Tufflips to catch the pirates copying his films. 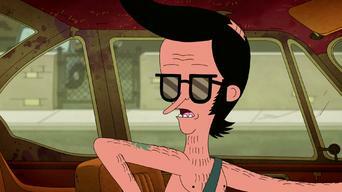 Sanjay and Craig help a lawyer seek his missing head from a billboard. Sanjay and Craig host a celebrity gourmand who wants to eat Craig. Betrayed by Android Jim, the boys get lost in Tufflips's movie-themed labyrinth.